When you know you’ve got a tight budget or you’re looking for serious value in a vehicle for your family, you need to let our team show you our used car selection. 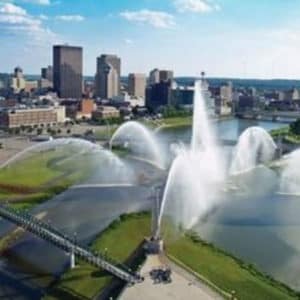 At Joseph Airport Toyota, we can be the used car dealer near Dayton, OH that has exactly what you’re looking for at a great low price. Let us show you what we have today. What are You’re Driving Needs? Do you need a small car that allows you to complete your daily commute? Are you looking for a versatile vehicle that fits your family and the gear you need to take with you? Would you like to have a pickup truck that can get the work done that you need to accomplish? Once you understand your own driving needs, you can shop for the vehicle that’s right for you. Of course, if you visit our used car dealer and aren’t sure of what you need, we’re going to help you figure it out. Let our team know what your budget is and begin the fun an exciting experience of shopping for the used car of your dreams. When you’re shopping for a used car, you’ll want to know what your budget is for the vehicle you drive. 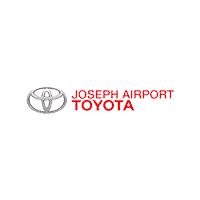 Talk to our friendly sales team and let our dealer team at Joseph Airport Toyota make it easy for you to have the vehicle you’ll love to drive on the roads in Dayton, OH. It’s important that you feel the vehicle you drive is one that’s affordable and offers you the comfort, convenience, and style you want. We understand this dynamic and will help you stay within your budget. Would You Like to Spend Less on a Used Car? Anytime savings is discussed by our customers, our eyes light up and we get excited by what our used car dealer can offer you. Our team has worked hard to make sure you can have the greatest value in the used car you choose. Ask about the variety of discounts and savings that you can enjoy when you visit our dealership. You’ll be able to drive home with a smile after you choose the model that makes the most sense for you. We’re the used car dealer that is more than happy to find a great way to help you save. In addition to a large selection of used cars that you can choose from, our used car dealer team has the financing you’re looking for and our service team can help you stay on the road. Make sure you talk to both teams when you visit our location and learn how they are going to help you with your vehicle ownership experience. Be sure to ask about our YES Plan Certified Lifetime Warranty on qualifying cars. After you do, you’ll realize that we are the team that’s ready to be your partner for as long as you own your vehicle; come in and pick out the right one for you to drive today. Winter is brutal, but with signs of spring in the air, it’s time to head outdoors. Imagine the fun you can have in your used car around the Dayton, OH area. Cruise down to the 5 Rivers MetroParks and pick from a variety of trails to hike or bring your poles for a day of fishing. Wherever your adventure takes you, you know you will get there with ease thanks to the YES Plan that we offer at Joseph Airport Toyota. Get started on your next adventure when you come to see us today. After you buy your pre-owned car, truck or SUV, how do you know you are covered if an issue should arise? When you choose Joseph Airport Toyota, you get the YES Plan Certified Lifetime Warranty that will give you the peace of mind you deserve. This plan comes at no additional cost on our eligible vehicles and is BETTER than a Certified Pre-Owned Warranty. Did we mention that we are the ONLY Toyota dealer in the greater Dayton, OH area to offer this free warranty on our vehicles? Take advantage of this incredible warranty FOR FREE and save money on the pre-owned vehicle of your dreams when you shop with us. Come and see us today for more details.